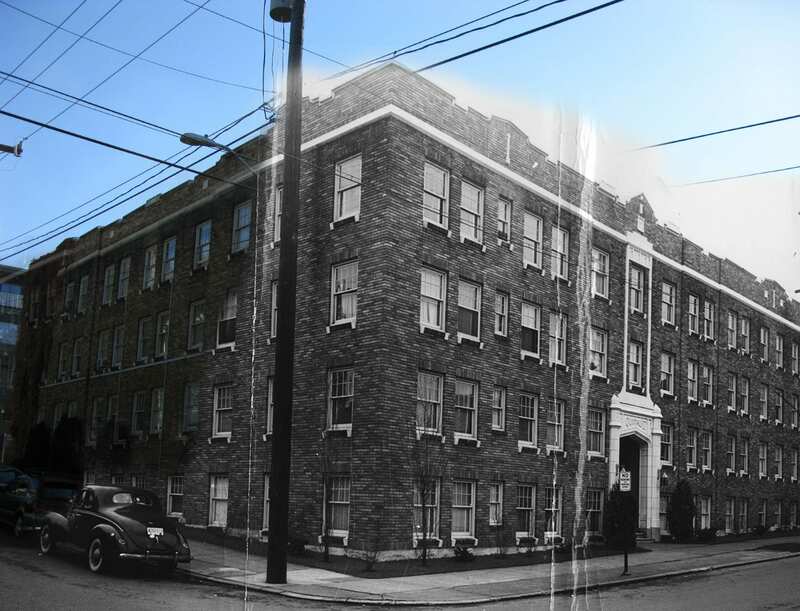 It’s not clear why the 1925 apartment building at Boylston and Mercer was named Quinault. Was it named after the tribe in Grays Harbor County in an attempt to give thanks to native peoples? If so, it’s no longer much of an honor. Where could the name have come from? The original owners had no obvious connection to the Quinault Indian Nation, their reservation north of Aberdeen, or the national forest land (now national park) just east of the reservation. 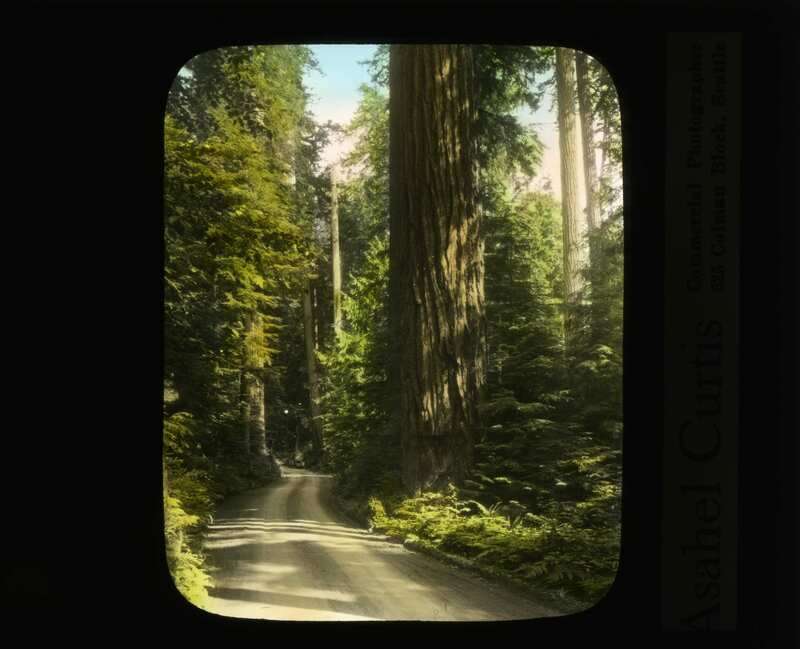 Several events in 1924 put Quinault into headlines, though, and may have inspired the name. 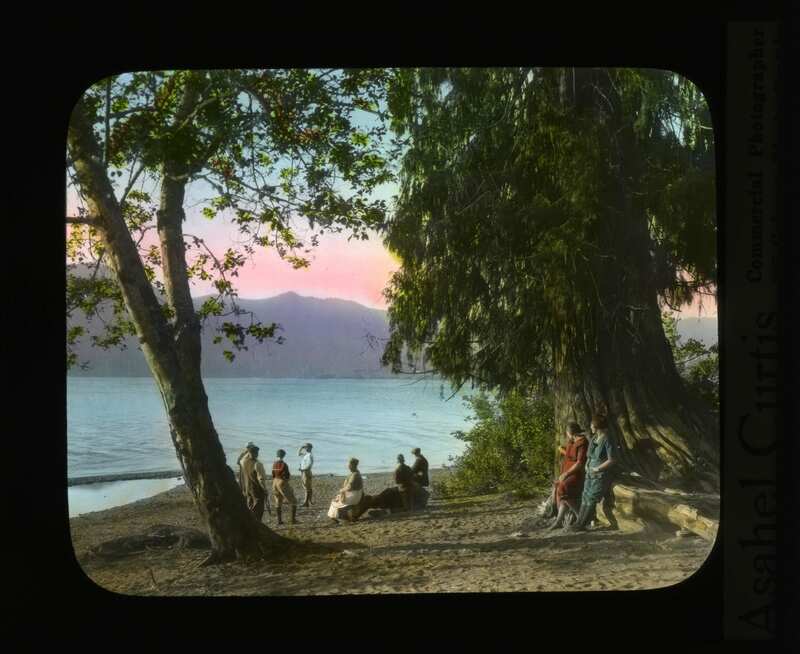 The Lake Quinault hotel burned in August 1924. Construction of the current lodge designed by Robert Reamer was underway when our apartment house opened. Seattle photographer Asahel Curtis led an expedition to the headwaters of the Quinault River. It was funded by Aberdeen Chamber of Commerce to reveal the beauty of the nearby Olympic Mountains. Asahel’s brother Edward Curtis is more famous today but Asahel left a richer legacy for Seattle with his urban photography. He also created many landscape and outdoor photos such as this series. Construction began on the section of the Olympic Highway, now US 101, from the Hoh River (south of Forks) to the Quinault reservation. “In every city and town I visited I saw Indians at work and talked to a number, who told me that Indians, like white men, are leaving the rural districts in increasing numbers for the cities. The automobile industry in all its branches seems to be particularly attractive to them. The largest garage in Marysville is owned and operated by an Indian. I talked with Indians at work on city docks, in railroad yards, and trucking in wholesale stores. The Indians find ready employment in logging camps, sawmills, and canneries. They are employed by contractors on public roads and are petty officers, engineers, firemen and deck hands on Puget Sound steamers. Auto stages and long-haul motor trucks have Indians as chauffeurs. Indians are of considerable importance in the manufacturing, commercial and transportation industries of Western Washington. Here’s a thank you to native people, all that they’ve dealt with and all that they’ve contributed. And hopefully we can all start taking better care of the stuff we name after them. This entry was posted in News, etc. and tagged i-5 shores, retake by Robert Ketcherside. Bookmark the permalink. SMAJ, thanks for sharing your thoughts and keeping me honest on the book link. I find the quote fascinating that I included from the 1921 Seattle Times because it describes Native people employed in regular jobs, just as they were in Seattle. But the author noticed their frequency as he traveled small towns (perhaps those newly connected by the Olympic Highway?) and took time to talk with them. If you have different interpretations of Thrush’s great work, please share them. I have faith in my intentions and effort and hope when the results miss the mark someone will correct me!